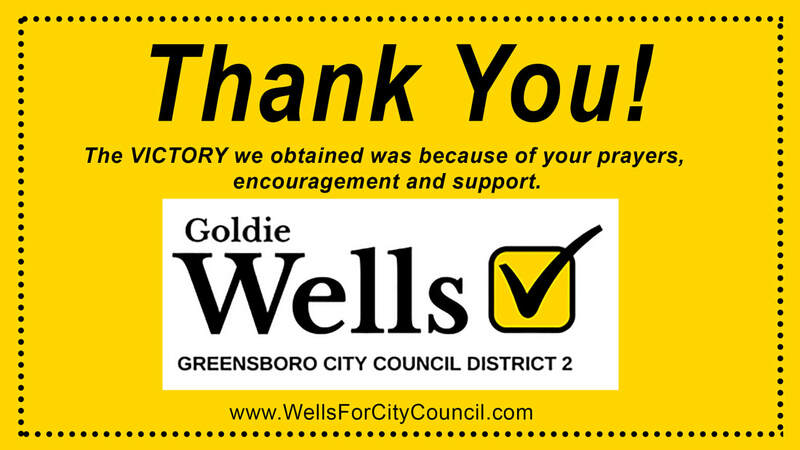 ​Goldie Wells represents District 2 on Greensboro’s City Council. She is a proven leader for positive results with many years of service to District 2 and Northeast Greensboro. WHO CAN VOTE FOR GOLDIE WELLS? There are great challenges in front of Greensboro that require experienced leadership.